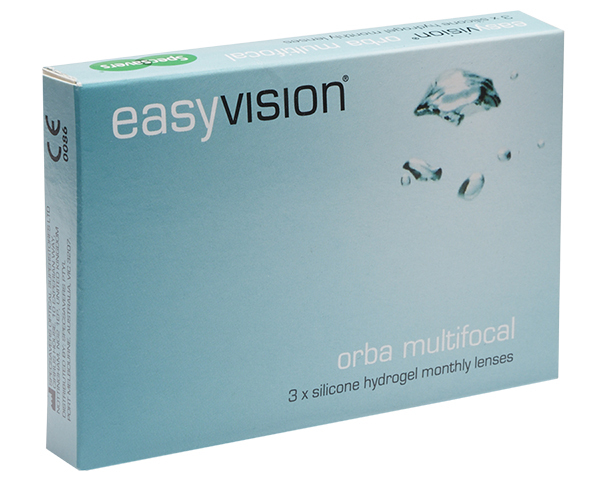 easyvision monthly orba multifocal lenses offer outstanding value as they are reusable and designed specifically to correct near and far vision. These lenses benefit from a handling tint and silicone hydrogel material. This advanced material allows extra oxygen to the eye and has a super smooth surface making the lenses comfortable throughout the day and healthy to wear.